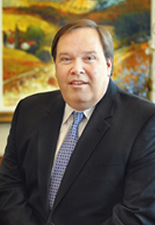 Joe Reinhardt is Executive Vice President and General Counsel for the Fidelity National Title Group family of companies and is based out of the home office in Jacksonville, Florida. Prior to his current role, Joe held positions with Fidelity as Co-Chief Underwriting Counsel, Chief Claims Counsel, Regional Counsel for the Southeast and with Chicago Title as Florida State Manager. Before joining Chicago Title in 1994, Joe was Chief Claims Counsel for another national title company in its home office in Kansas City and also worked with the national public accounting firm of Ernst & Young. Joe has been elected as a fellow in both the American College of Real Estate Lawyers and the American College of Mortgage Attorneys. He was also member of the executive council of the real property section of the Florida Bar and is past chair of the Title Insurance Litigation Committee of the American Bar Association. He obtained a B.S. in accounting and business administration from the University of Kansas and his J.D. from the University of Missouri School of Law in Kansas City.